Beyond the piles of sketches, the writing and the stonecarving dust, here’s a look at the results of some of the bigger projects I worked on during my year at TypeMedia. Exploring parametric lettershapes for Just van Rossum’s Python class. There is no “master” design here: Outline structures are defined as models and instantiated using a number of parameters. Other fun Python things included some recursive letters and the beginnings of the word-o-mat. My stone for Françoise Berserik’s letter-carving class. 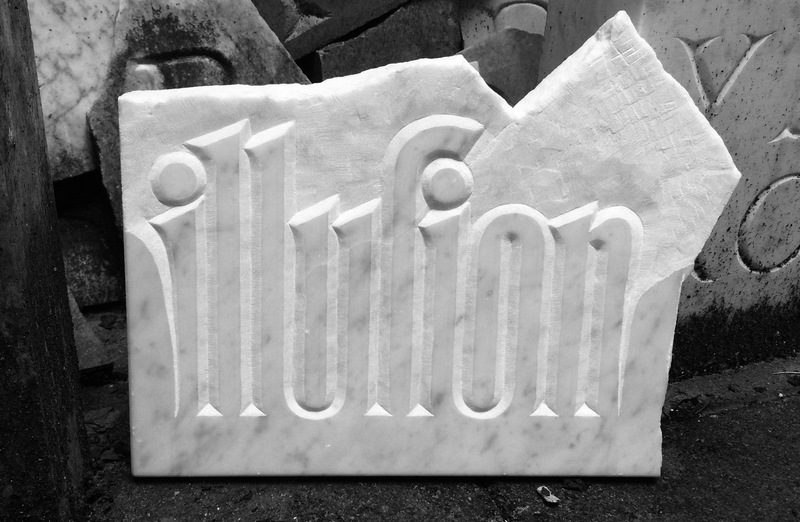 Stonecarving was fascinating and opened up new perspectives on lettershapes and spaces. 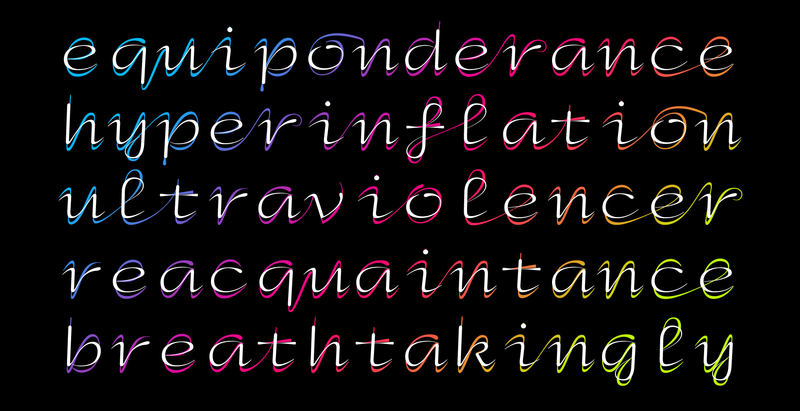 This piece was inspired by a sign error in my Python script that got me thinking about negative serifs. Penglia, a family based on writing with the broad-nib pen, for Peter Verheul’s class. We sketched six variants (low, normal, and high contrast) in roman and italic; my regular contrast ones are furthest along, especially the italic. Like the writing itself, this was really hard for me. A potential Greek companion to Erik van Blokland’s Eames Century Modern for Peter Bilak’s class. This was a fascinating, if quite brief exploration. 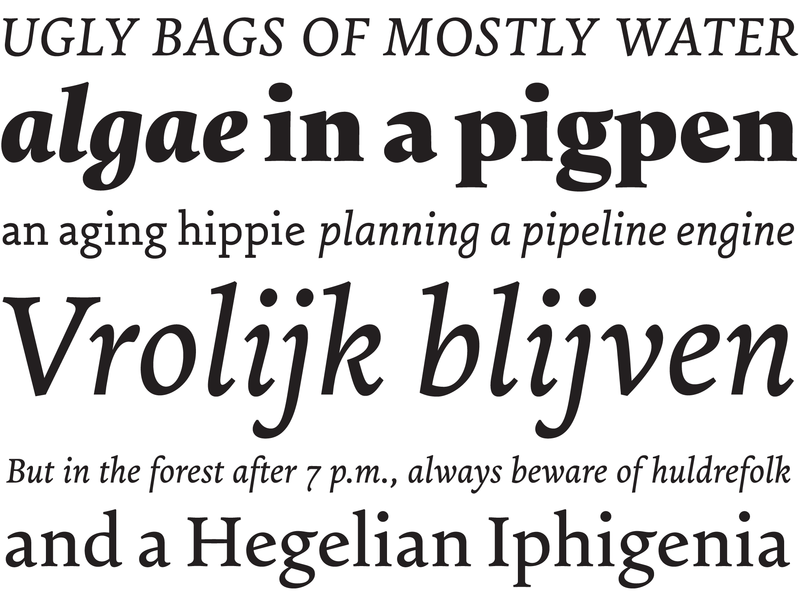 Michiel is my revival of an early typeface of J. M. Fleischman’s. The revival, taught by Paul van der Laan, was my favorite project in the first semester. This face feels less elegant and sparkly than Fleischman’s later work, softer and rougher at the same time; I’ve come to quite like it. There is only one style so far, but that one is pretty much complete. I’m thinking about expanding it further. My contribution to the Chinese Whispers project with Typeradio and HBKSaar (see background and context on the Typeradio website). I would’ve never thought drawing a monospaced upright script with two layers could be this much fun. Sounds like the most useless thing ever, no? I’m still thinking about picking it up again. 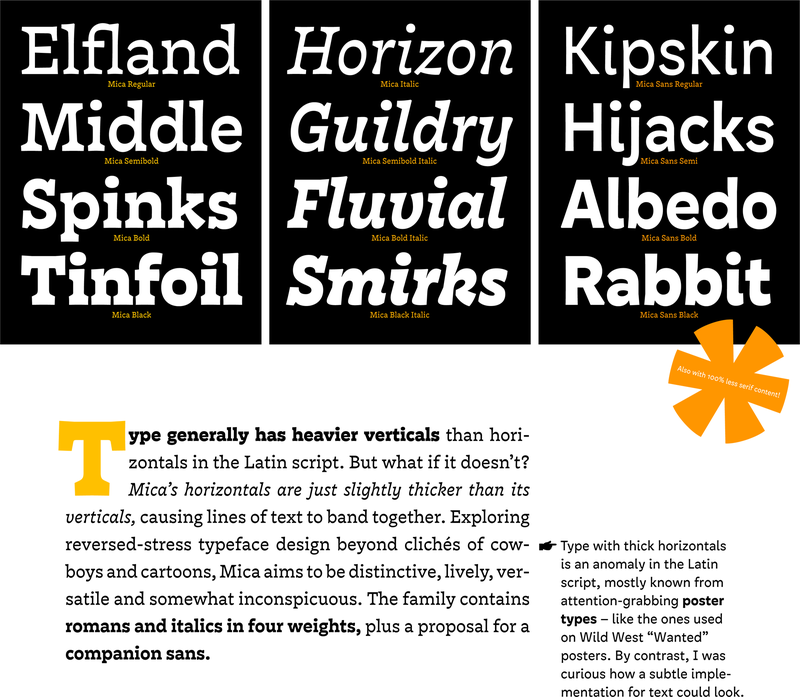 More of Mica will be shown soon on the upcoming TypeMedia 2014 website. Das sind wunderschöne Arbeiten Nina! Wow! Glückwünsche! You’re a huge inspiration! Thanks so much for Word-O-Mat.